✔️IMMUNE & ANTIOXIDANT BENEFITS. Chaga mushroom, also known as Inonotus obliquus, offer a number of benefits for the body. For centuries, Chaga has been used traditionally to aid immune system function and also to boost overall health. Our extract is packed with antioxidant power, helping the body fight off free radicals attacking our cells. ✔️DUAL EXTRACTED. 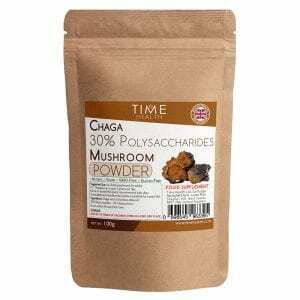 Time Health Chaga powder is dual extracted using both alcohol and hot water to draw out water soluble and non water-soluable bioactives. Only the most complex part of the mushroom is used – the fruit body. ✔️HIGH QUALITY. 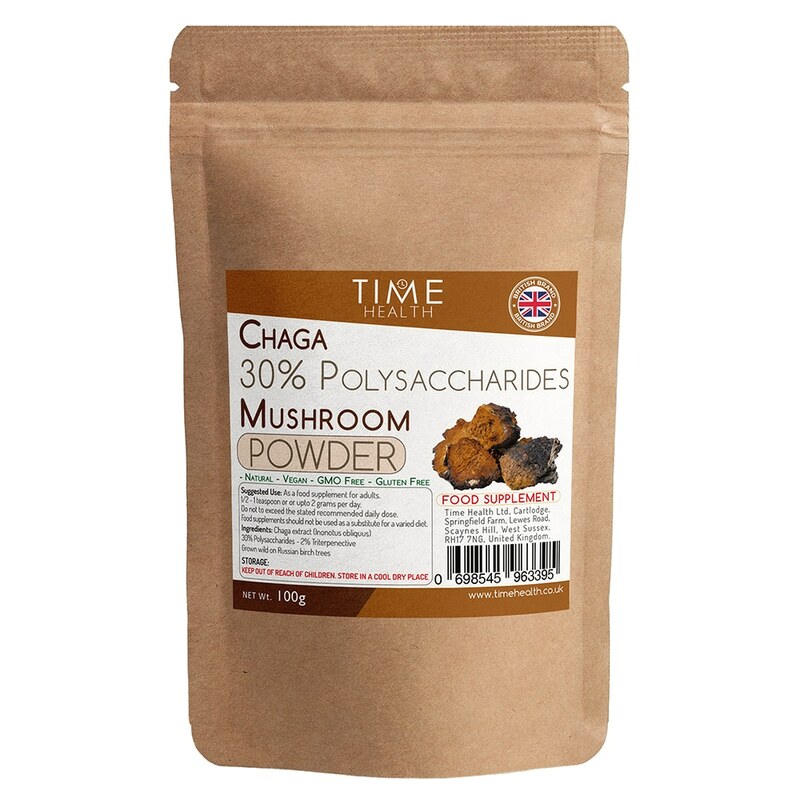 Our Chaga powder is manufactured to high quality standards with only the finest ingredients used. Time Health Chaga extract is grown wild on Russian birch trees. 30% Polysaccharides – 2% Triterpenective – Full spectrum Dual extracted (alcohol/water) water-soluble and the non-water-soluble bio actives. Great product, moderate price. I would have chosen a less expensive shipping method if by chance available. Thanks for the possibly of buying this great product at a moderate price. Im very pleased with all your products regarding the quality and the price. Very good quality for a good price.I will purcese it again and again.